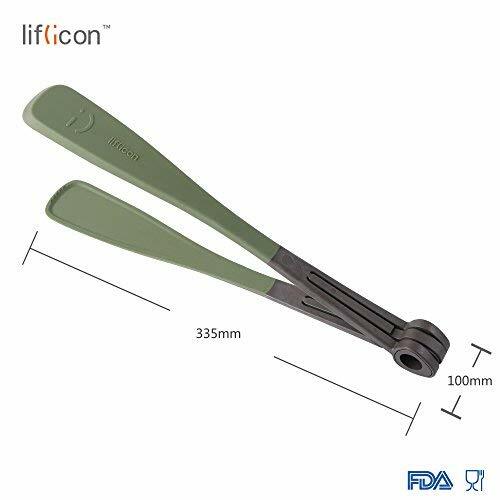 PREMIUM AND DURABLE MATERIAL： Engineered from Food Grade Silicone built in Nylon. BPA FREE AND FDA APPROVED. 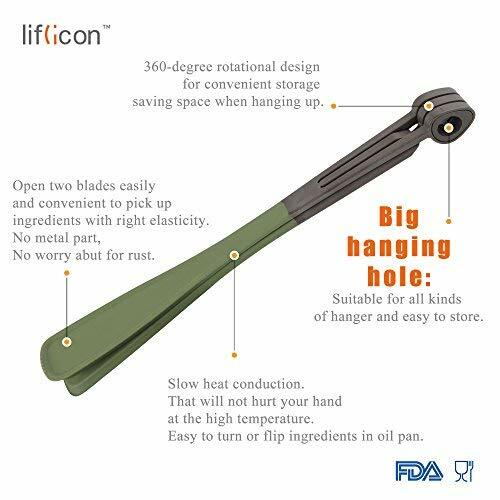 sturdy, heat resistance, anti-rust, anti-corrosion, light weight, easy to handle, like new forever. 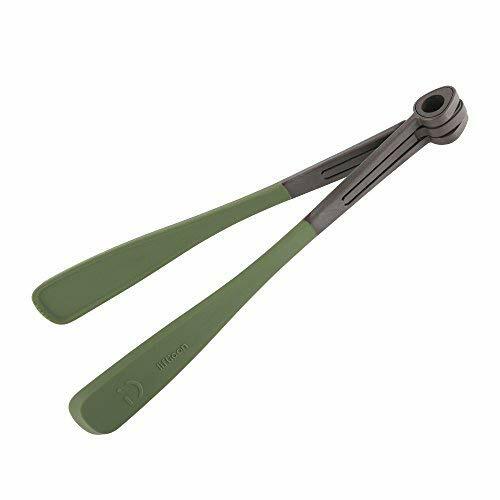 Nonslip Handles that provide you with secure and comfortable grip. 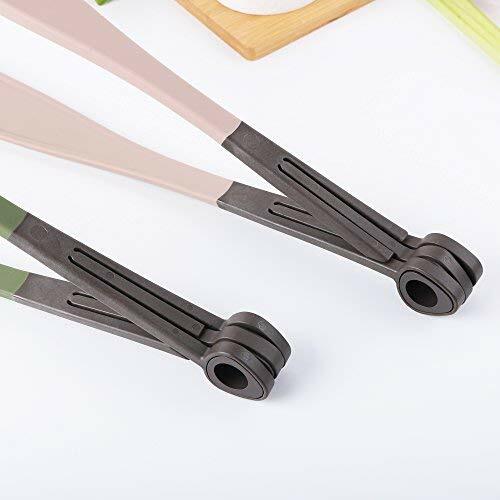 AMAZING GRIP & NON-STICK FRIENDLY: With durable nylon heads coated in silicone, and silicone heads are firm and angled to offer amazing grip and control. 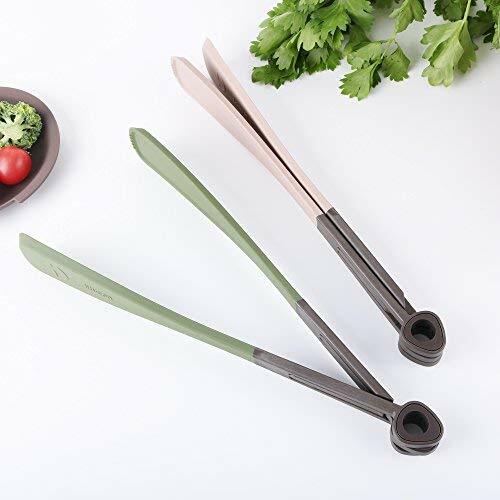 Ideal Kitchen Tongs for a variety of foods, including serving and cooking foods such as salad, BBQ, grilling meat, foods, pastas, fruits and much more. HEAT RESISTANT; EASY TO CLEAN： Heat resistant up to 446℉( 230℃), so you can rest assured that they are 100% oven and microwave safe! In addition, cleaning it is a breeze too, since you can put it into your dishwasher. No more scrubbing for you! 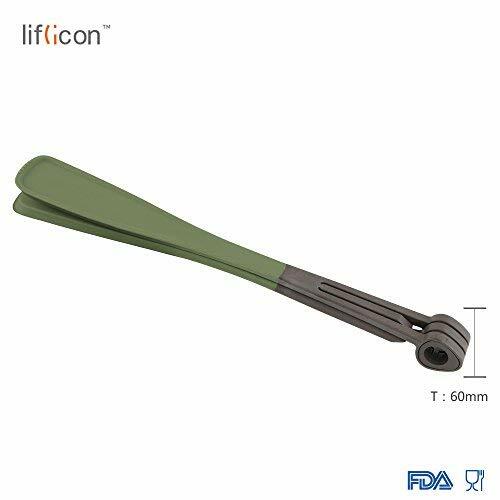 Size and Colors: 13.19”(L)*1.77”(W)*1.77”(H); Weight:4.59OZ(130g); 2 Colors available:Dark Oliver Green and Dark Ivory White-bright colored silicone complements any decorations. 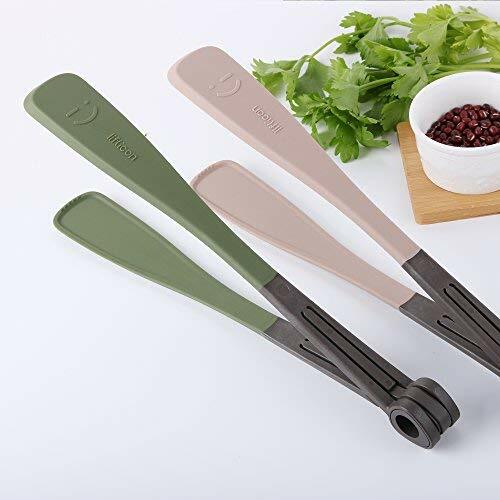 Perfect for Kitchen & Outdoor: Suitable for barbecue, grilling, flipping steak, turning fish, also works well for lifting appetizer, cheese, bread, waffle, crab, chicken, turkey, burger, asparagus, vegetable, fruit, salad, ice block, pastry, cake, and taco.